I read this article and found it very interesting, thought it might be something for you. 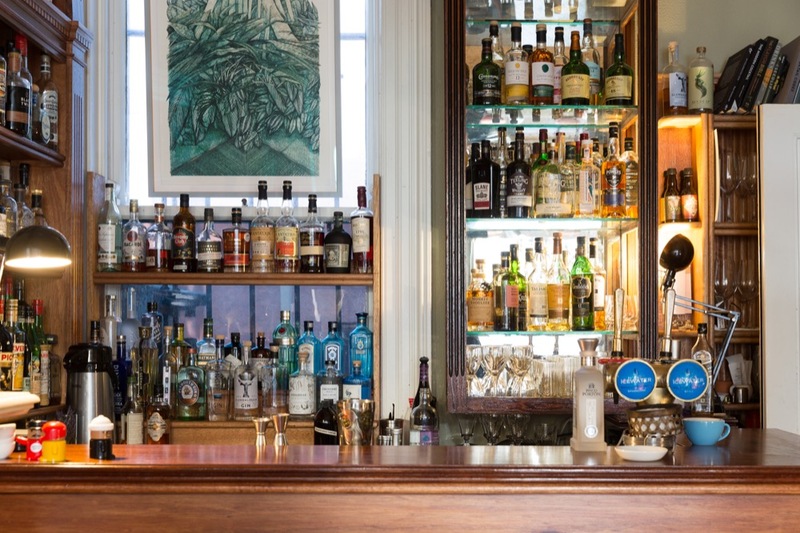 The article is called Barfly: The Sitting Room at Delahunt and is located at https://www.totallydublin.ie/food-drink/bars/barfly-the-sitting-room-at-delahunt/. After last month’s seaside excursion, it is a delight to be back in Dublin and nestled in the clammy embrace of the two canals. The swans seem quietly pleased to see me. No part of Dublin is thriving more than the Camden Street-Wexford Street corridor, and its bars and restaurants are well-represented on the pages of this publication. 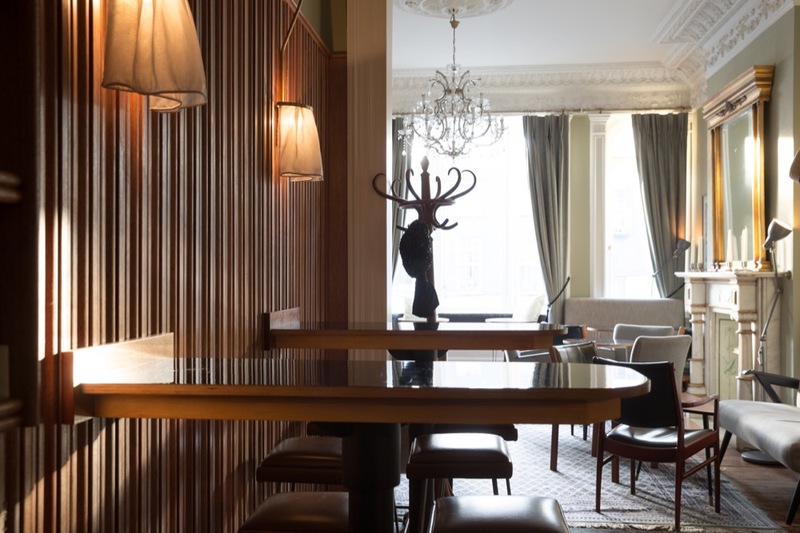 Delahunt, a restaurant opened in 2015, occupies the ground floor of a beautiful red-brick Edwardian (we are told Victorian, but the facade gives the year as 1905). Discreetly to the right of the main restaurant entrance is a closed door. I have previously been skeptical of the affectations of closed doors and quasi-hidden entrances, but this one is neither more nor less than it appears: a sturdy door, fronting onto a busy street, with a doorbell, which I ring. 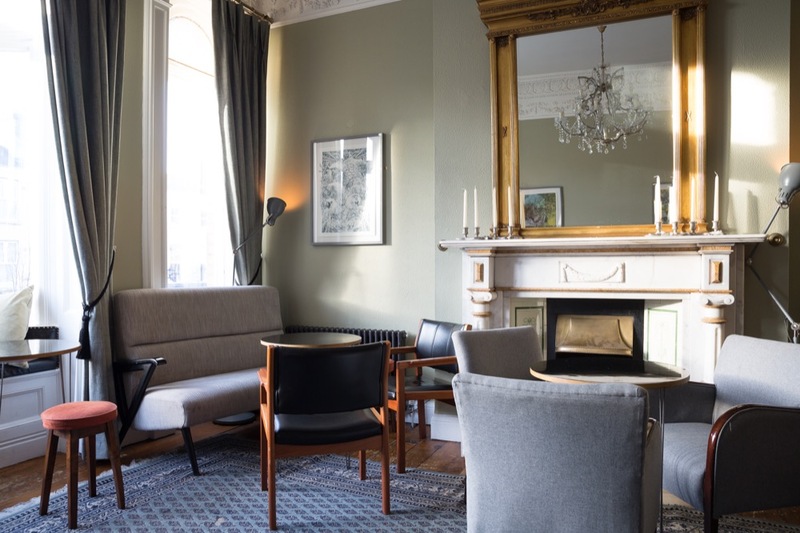 We are admitted and go upstairs to a double reception room that has been beautifully and unfussily restored to show its age grandly, rather than disguise it. If grey walls are no longer le dernier cri for a contemporary interior, they work splendidly here. A bar has been sensitively built into one end of the room. I am racked with envy. A bay window seat looks over the murky evening. A collection of mid-century furniture prevents the whole effect from becoming too fussy. There are, sensibly, a pair of hat-stands. The fireplace is full of lit candles. I am here with la Rouquine who has gamely agreed to support my researches on a school night, and she is as taken with the setting as I am. It is further enhanced with the fresh ingredients, featuring citrus and rhubarb, in evidence. We are brought menus and glasses of water by a barkeep who remains unflappably poised despite his busyness. The menu is simple enough and both the volume and the alcohol percentage of each drink is thoughtfully given. Some attention has been given to the non-alcoholic options and there are a few Irish beers in cans, but the emphasis is rightly on the cocktails, all of which are a very reasonable €12. We start with a “Rhubarb Spritz” (her) and a “Think Negroni” (me). The spritz is built on Dublin City Gin and tempers the Lucozade-sweetness of Aperol with a fresh rhubarb infusion. The garnish of beautifully in-season blood orange is exactly what it needs. The negroni replaces the usual gin base with a young Château du Breuil Calvados, which smooths out the aggressiveness of Campari. The presentation is immaculate, served in a simple rocks glass with a perfect curl of orange zest. A few other parties trickle in and out, but it remains blissfully calm. There is an eclectic and international playlist – A little Bertrand Belin here, a little Una Mas Trio there – that suits the atmosphere and while we don’t have to whisper, it doesn’t intrude. I consult the bottle selection. There are quite a few amari, gins, Irish whiskeys and Scotches. The American selection is small but thoughtful. If you’re only going to carry one rye whiskey, I think Michter’s US 1 Kentucky Straight Rye is a good choice, so next up is a pair of Manhattans made with this. Now, a Manhattan is a drink I have strong opinions about, but let a hundred flowers bloom and a hundred schools of thought contend and all that. It arrives served in a coupe, as I would prepare it, but with a single piece of ice, which I would not include. The ice is a thing of beauty in itself: a huge chiseled dodecahedron, pristinely clear. The barkeep apologizes for running out of Carpano Antica Formula and substituting Cocchi Storico, but I actually prefer the Cocchi’s sweeter fruitiness balanced against the spiciness of the rye whiskey. Without any garnish and with the added dilution of the ice, the result is gently muted, and this, I think, is the recognizable house style – each drink, whether menu or canon, seems to smooth out rough edges, to tame any stronger or more aggressive flavours. The overall effect is one of almost therapeutic calm. We are soon hatching plans to replicate this room at home, or to rent out this version of it on a regular and ongoing basis. The Sitting Room is characterised not just by an attention to detail, but by never having too many details. Nothing feels effortful or overly complicated. The next time I am appalled by a place that has decorated itself at random, or adopted an arbitrary theme and executed it haphazardly, or serves a glass of boozy cough medicine for the bones of twenty quid, I can come back here, where things are done properly. And the next time anyone despairs about the state of play of cocktailing in Dublin and asks my seasoned professional opinion, I need not run out of ideas after the (indubitably excellent) Sidecar at the Westbury. It is, however, a rainy Tuesday in February and the real world is eyeing us balefully from outside. Strong as the temptation is to linger and explore the rest of the menu, that will have to wait for another evening. It is a comfort in these dark times to know that prospect awaits.